Heat oil in large pan on medium-high heat; add sliced red onions, reduce heat to medium and cook until soft and translucent. Stir in pulled chicken, BBQ sauce and cilantro, heat for 4-6 minutes. In a medium size bowl; add the slaw, dressing and salt and pepper. Mix together. Place cheese on the bottom sections of the Brooklyn Bred Buns and toast in oven for 3 minutes or until cheese is melted to your liking. 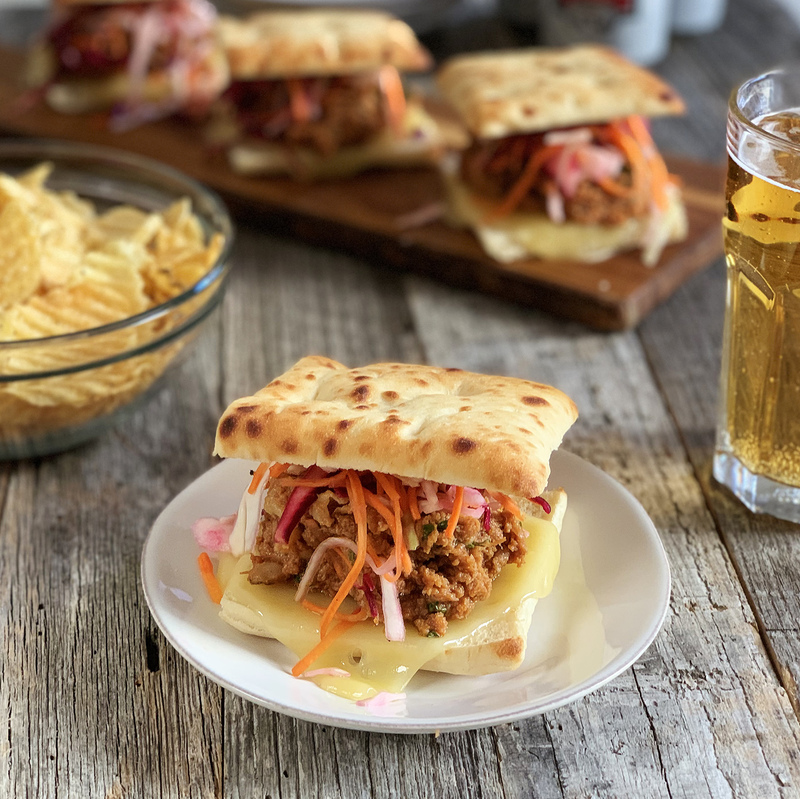 Remove toasted, cheesy buns, top with BBQ chicken + coleslaw, add the top section of Brooklyn Bred Buns to close the sandwich and serve.